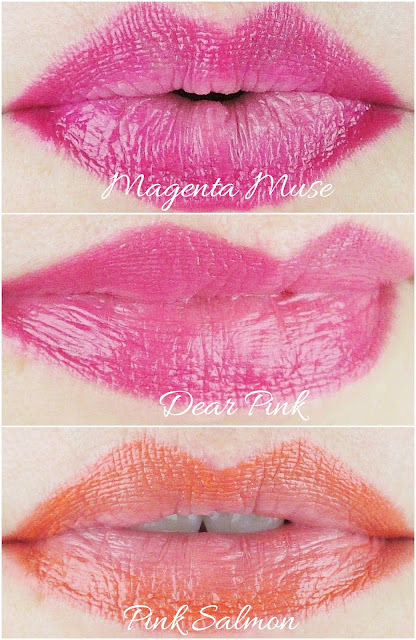 Ombre lips are kind of everywhere, right now. I'm seeing different brands bringing out two and three tone lippies in a multitude of finishes and shades. 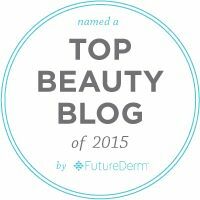 Today, I'm going to share with you whether I think ombre lips are a love it or a leave it. 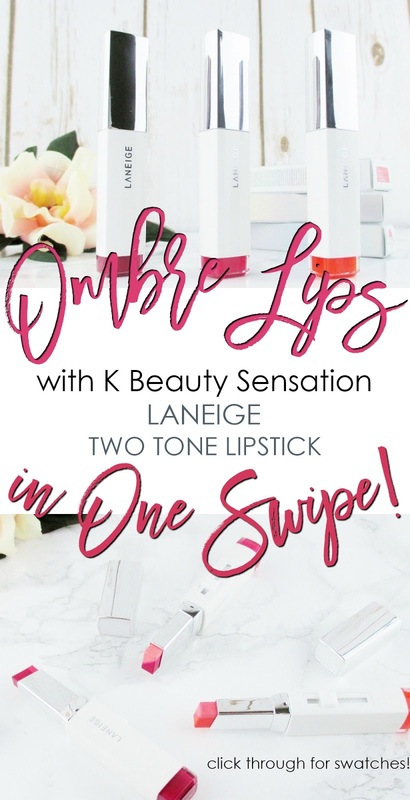 Laneige Two Tone Lipstick is a cult K Beauty favorite for creating lush lips in one easy, smooth swipe. Each bullet consists of a rich, semi matte creme (to me they are more creme than matte) and a gloss for that makeup artist curated look. Each two toned bullet is contained in a sleek, modern white and silver tube with a smooth push up/down mechanism, a colour block at the end of each tube that represents the shade within and the Laneige logo printed in silver. These lipsticks are so sculptural and cool and I love how they look in my dressing table lipstick rack. Laneige Two Tone Lipstick can be applied in a couple of different ways; for a two tone effect, I start by applying a good clear barrier pencil just outside my vermilion line to keep my lip colour from escaping the lab. I apply these lipsticks starting on my upper lip at the dip in my cupid's bow and holding the bullet so that the deep shade is at my lip line and the glossy shade at the inside of my lip, I take it up and over, in one, smooth stroke to the outer corner. I repeat on the other side, then flip the lipstick over so that I can repeat the same effect on my lower lip, starting at the center and working out to the corner first on one side, then the other. I can either wear the lipstick as applied or gently mush and rub my lips together or use my finger to mix the creme and gloss get a shiny, uniform all over colour. Application is easy, once I got the hang of how these lipsticks apply. I have three shades of the Two Tone Lipstick. Would you like to see swatches? I took pictures applied both as ombre and mixed together. When my shots came out of the can, I was rather horrified at the carnage that had ensued within. I was lucky, with a little careful editing to get these three usable pictures. Magenta Muse is a deep raspberry pink creme with a glossy pale pink partner. Dear Pink is a bright, candy pink creme and gloss combo. I got this one a bit muddled on application so the ombre isn't as strong but you can get a nice idea of how these look mixed together. Pink Salmon is a delicious, bright orange coral creme with pale pink gloss. Wear time, as you can well imagine is not terribly long with these lipsticks; especially if, like me you are a lip worrier. I'm not someone for whom shorter wear is a problem, I honestly don't mind touching up my lip colour. These lipsticks are so pretty on, they make my lips look plump and juicy and they are very comfortable to wear. 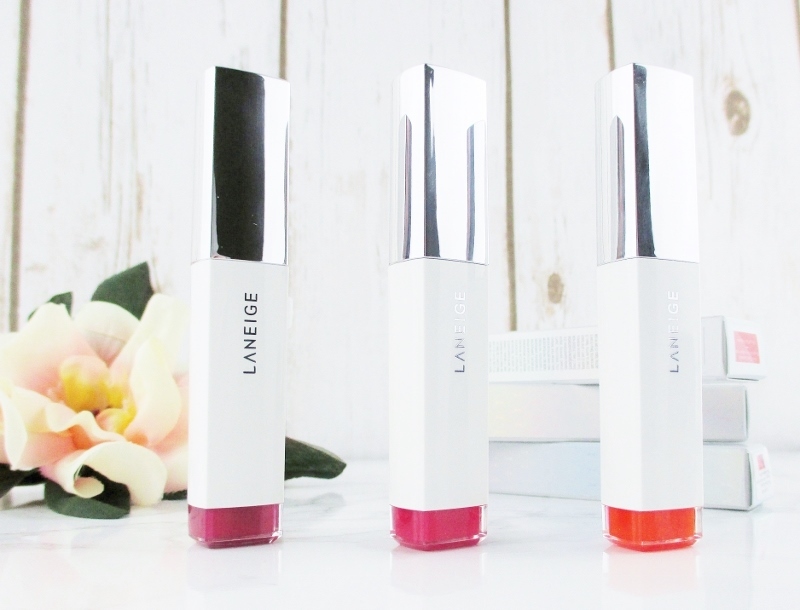 Laneige Two Tone Lipsticks are hydrating and leave my lips feeling as moisturized and happy at the end of the day as they were at the beginning, fresh out of their all night balm party. Laneige Two Tone Lipsticks are $27.00 each at Sephora and are available in eight different colour combos so everyone should find shades and tones to best suit. According to their information, Laneige Two Tone Lipsticks do not contain chemical sunscreens, parabens or phthalates. 1-1: Hydrogenated Polyisobutene, Squalane, Caprylic / Capric Triglyceride, Polyethylene, Polyglyceryl-2 Triisostearate, Silica, Microcrystalline Wax / Cera Microcristallina / Cire Microcristalline, Mica (CI 77019), Polyglyceryl-2 Diisostearate, Polyhydroxystearic Acid, Disteardimonium Hectorite, VP / Hexadecene Copolymer, Diisostearyl Malate, Methicone, Fragrance / Parfum [+/- (May Contain) Red 6 (CI 15850), Red 7 (CI 15850), Red 7 Lake (CI 15850), Red 27 (CI 45410), Red 21 (CI 45380), Red 22 Lake (CI 45380), Red 28 Lake (CI 45410), Red 33 Lake (CI 17200), Red 36 Lake (CI 12085), Yellow 5 Lake (CI 19140), Yellow 6 Lake (CI 15985), Yellow 10 Lake (CI 47005), Blue 1 Lake (CI 42090), Titanium Dioxide (CI 77891), Iron Oxides (CI 77499, CI 77491)]. 1-2: Hydrogenated Polyisobutene, Squalane, Caprylic / Capric Triglyceride, Polyethylene, Silica, Mica (CI 77019), Polyglyceryl- 2 Diisostearate, Polyglyceryl-2 Triisostearate, Microcrystalline Wax / Cera Microcristallina / Cire Microcristalline, Polyhydroxystearic Acid, Disteardimonium Hectorite, VP / Hexadecene Copolymer, Methicone, Fragrance / Parfum [+/- (May Contain) Red 6 (CI 15850), Red 7 (CI 15850), Red 7 Lake (CI 15850), Red 27 (CI 45410), Red 21 (CI 45380), Red 22 Lake (CI 45380), Red 28 Lake (CI 45410), Red 33 Lake (CI 17200), Red 36 Lake (CI 12085), Yellow 5 Lake (CI 19140), Yellow 6 Lake (CI 15985), Yellow 10 Lake (CI 47005), Blue 1 Lake (CI 42090), Titanium Dioxide (CI 77891), Iron Oxides (CI 77499, CI 77491)]. So, are these a love it or a leave it? I say, a love it! 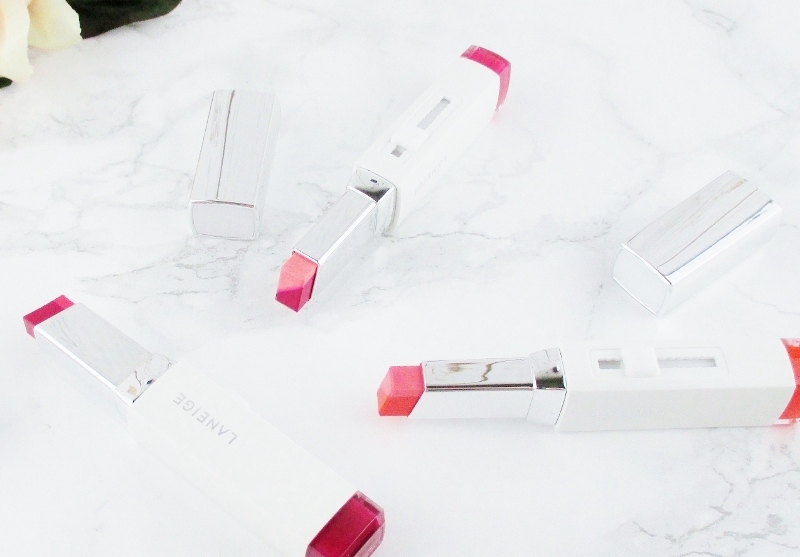 Have you tried Laneige Two Tone Lipsticks? Do you like them? What are your favorite shades? I really want to give these lipsticks a try. Its neat that there's two colors in it to help you to create the gradient lips. I am so intrigued by these, and Dear Pink is definitely calling to me! 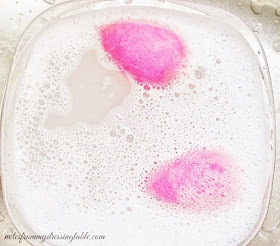 Dear Pink is so pretty and the formula on these is lovely. You must try. I'm so impressed with how these performed as far as swiping them on and getting a visible, cool result. I need one but can't decide which I like better! These are so interesting. I love the idea of them. Do you notice a fragrance? Sign me up for the 'love it' camp, because I am obsessed with the ombre lip look! I just got into Laneige recently and I'm obsessed. These colors are so pretty! Actually, the "upside down" method makes more sense to me - we lick our lips down the centre, so that part WILL look paler! These look really nice, I love Magenta and Salmon. Are they easy to apply? The rectangular shape throws me off. Fashion Flash - Winding Down October - Is Live!